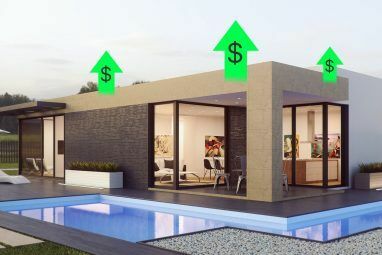 Since the sub-prime mortgage crisis in the United States kicked off the global financial crisis back in 2008, house prices have been struggling. Admittedly, if you live in a swish inner-city penthouse in London, Paris, New York, or Tokyo, then you’re probably not worried – but for people who live in normal suburban homes in middle-of-the-road towns, there is still a whole lot to be concerned about. Of course, you can find lots of tips online about how to maximize your home’s value – give it a lick of paint and tidy up the garden for a start. However, research in the UK conducted by Barclays Mortgages found that 28 percent of people would be willing to pay in excess of £3,000 more for a home that came equipped with smart technology. 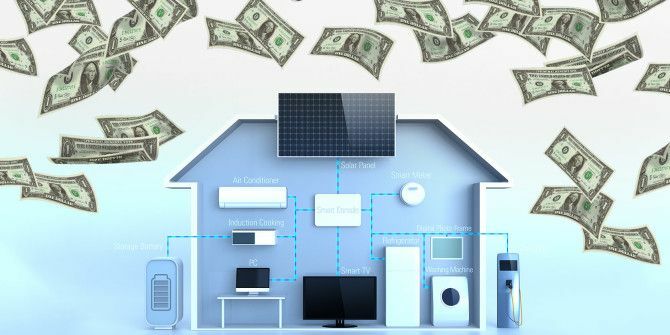 Therefore, in this article we take a look at which smart technology you should install that will let you add those extra few thousand dollars onto your asking price. A well-tended garden can make a huge difference to the “curb appeal” of your property. Sadly, not everyone is green-fingered, and even the neatest garden on the street can quickly start to resemble an overgrown forest if not looked after properly. Smart water sprinklers 5 Smart Devices To Help Manage Your Garden 5 Smart Devices To Help Manage Your Garden Turns out, a smart garden is completely possible, thanks to the devices we are going to take a look at today. Read More can therefore make your property more appealing to the gardening-averse, as well as saving the prospective buyer a lot of money on their water bill. Research by Rachio (a sprinkler manufacturer) says installing their sprinklers will save 30 percent of outdoor water usage, with some users reporting savings of more than 65 percent. That’s a massive selling point. Another money saving addition to your property is smart lighting. Energy Star claim that lighting makes up around 60 percent of your annual electric bill – about $264 in an average American home. Estimates suggest that an effective smart lighting system, which can brighten and dim lights in accordance with conditions, can save as much as 60 percent of lighting costs. There is also the added security benefits, as a would-be buyer can control lighting when they are away from home to make it look like someone is in. Solar America estimates that the installation of solar panels can save owners more than $1,500 per year on their utility bills, while the U.S. Department of Energy found that adding solar panels could add as much as $15,000 onto your home’s value. It’s a similar story in the UK, where government analysis showed that adding solar panels to a home would add an average of £16,000 to the value, and as much as £25,000 in the North-East. Of course, there are lots more advantages to adding solar panels to your property – check out our article about it 6 Advantages of Solar Panels You Probably Haven't Considered 6 Advantages of Solar Panels You Probably Haven't Considered Solar power is becoming increasingly common among middle class consumers, with more and more people realizing the advantages of solar panels. Read More ! The aforementioned Barclays survey specifically mentioned smart thermostats as one of the biggest selling points for prospective buyers, and it’s not hard to see why. They remove the guesswork out of trying to figure out the optimal time to turning your central heating on/off and working out which temperature to set it at by automizing everything. Arguably, the most popular smart thermostat Looking to Buy a Smart Thermostat? 5 Nest Alternatives Looking to Buy a Smart Thermostat? 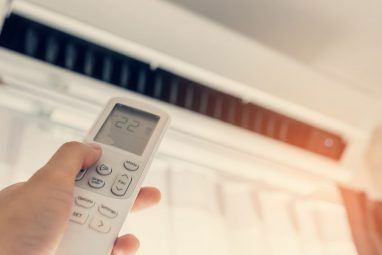 5 Nest Alternatives When it comes to controlling the temperature of your home, the Nest smart thermostat is king, but there are plenty of options out there. Here are 5 you should consider if you're looking to buy. Read More currently on the market is Nest (owned by Google). The initial system will set you back a not-insignificant $250, but thereafter its projected annual savings on your heating bill are $173. All homes should have smoke detectors installed, but let’s be honest, they can be annoying. If you burn your toast or leave the dinner in the oven for too long they can quickly start wailing, leading many owners to disable them altogether. Unfortunately, that’s one of the worst things you can do – a CBS news report in 2014 claimed that two thirds of all home fire fatalities occurred in residences where the smoke detectors were either missing or had been disabled. Disabling it could also invalidate your house insurance. Insurance companies will typically drop your premiums by around 5 percent if you have a smoke detector installed, so if your property burns down and they can prove your detector was not functional, they won’t pay out. Smart smoke detectors remove all these problems. Their ability to monitor smoke levels 6 Smart Interior Air Quality Monitors You Should Buy For Your Home 6 Smart Interior Air Quality Monitors You Should Buy For Your Home The quality of the air we breathe is very important for our health and quality of life, and these six smart air quality monitors help to ensure your home air is as safe as possible. 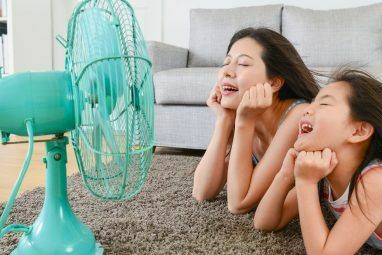 Read More , carbon dioxide levels, and air quality means your new owner will be able to burn their toast in peace while keeping their insurance discounts intact. As with any form of selling, it’s important to know your market. Keep in mind that the much-discussed millennial generation are starting to enter the housing market en-mass for the first time, with the oldest members of the generation now turning 30. This is the first generation to have grown up with computers and the Internet in their homes, they are used to interacting with technology in every facet of their lives, and look down on more analog gadgets. Smart home technology is a great way to make your house more appealing to this generation. On the other hand, it could potentially make it less appealing to older, more technology-adverse generations. The aforementioned Barclays survey also found that 58 percent of people said smart home networks could enable burglars to find where there is no one in the house. As long as you take proper security measures 5 Security Concerns to Consider When Creating Your Smart Home 5 Security Concerns to Consider When Creating Your Smart Home Many people attempt to connect as many aspects of their lives to the web as possible, but many people have expressed genuine concerns over how secure these automated living spaces actually are. Read More (like testing your equipment, changing default passwords, etc) this is untrue – but it does offer an interesting insight into how different parts of society think. Have you installed some technology that you hope will let you boost your property’s value? Perhaps you’ve got some other killer tips for your fellow readers? Whatever your situation, we’d love to hear it. You can let us know your thoughts and feedback in the comments section below.